Television shows are unique in that people will often watch the ones that they like the most frequently and regularly. This is obviously helped by the fact that most of the best shows will be syndicated and shown on channels almost constantly, giving people the chance to see them over and over again. Knowing this, many writers, directors and producers will add secret Easter eggs in order to provide a reward for devoted viewers to keep them interested and ensure that they get something for their dedication to the show. One episode of How I Met Your Mother eventually ends with a major character, Marshall’s father, in a twist ending that almost nobody saw coming. The crew, though, had done their best to warn viewers that something was going to happen though as they hid a countdown from 50 throughout the entire episode. The numbers appear in almost every scene on magazines, sauce bottles, taxis and brochures, counting down to zero when the death occurs. 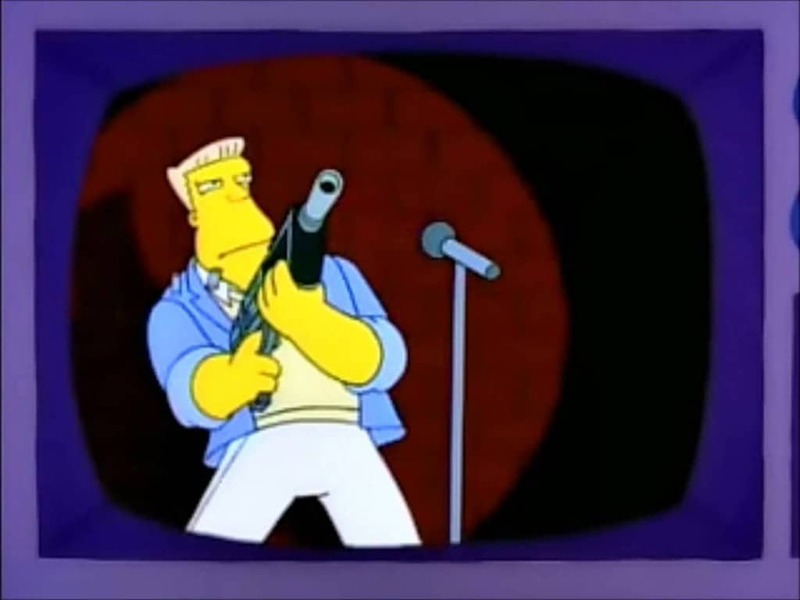 Early episodes of The Simpsons featured a variety of clips of Rainier Wolfcastle appearing as McBain in which he would inevitably be caught up in some action sequence. These aren’t just randomly assorted videos though, in fact if they are stitched together they form a complete movie with a proper plot and conclusion. 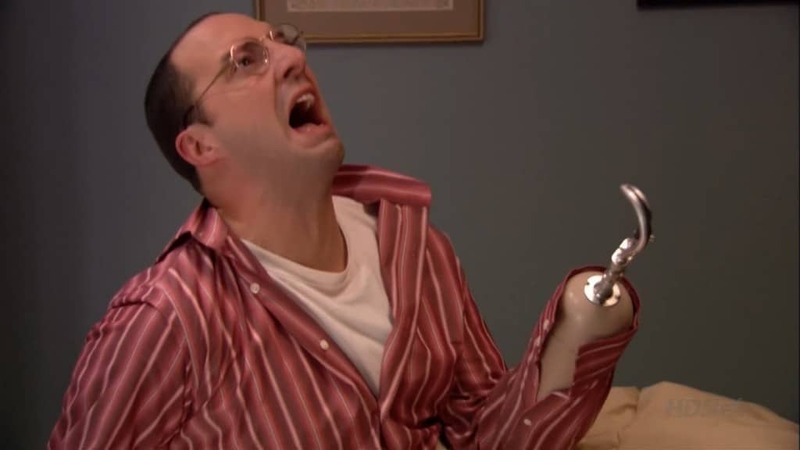 Season 2 of Arrested Development sees the character of Buster Bluth losing his hand when it is bitten off by a seal before it is replaced with a hook. 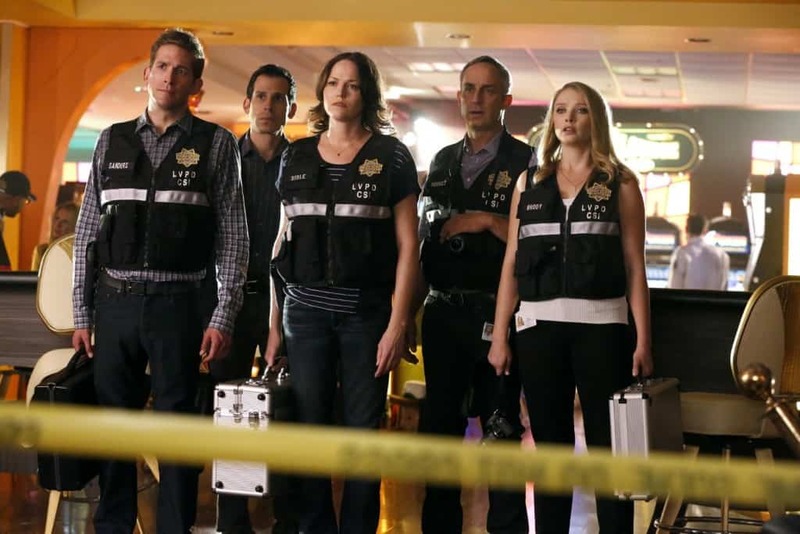 While this was a rather unexpected twist that many fans hadn’t foreseen, the writers had carefully planted clues within the episode in question to give viewers the chance to guess what was coming up. These included mentions of the word “hook” in quotes and events, a reference to a seal not being fed by hand anymore and Bluth playing on a claw machine and winning a stuffed seal toy. As Drew Carey is a huge fan of the NFL franchise the Cleveland Browns, he made sure that an image from the team appeared in every single episode of his own sitcom. 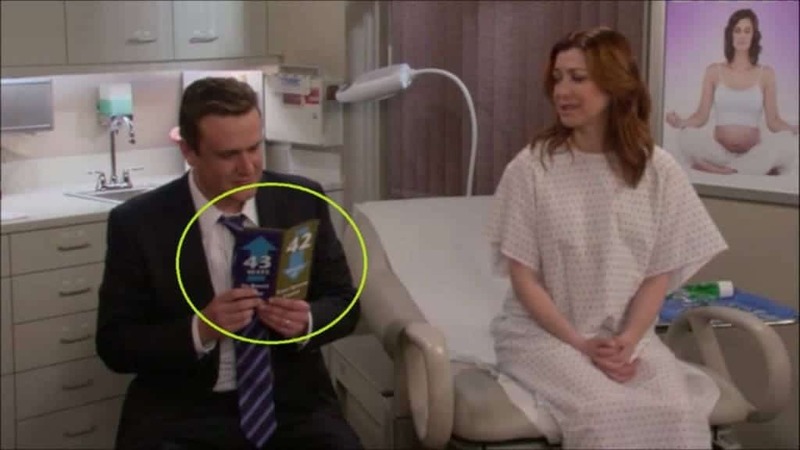 The Drew Carey Show therefore has a regular Easter egg that gives viewers the chance to hunt for the reference, which can be anything from a sticker to a poster. Although sitcoms often exist in their own little world that seems to abandon many of the common sense practicalities that the real world has to put up with, Friends had a number of issues that fans couldn’t get their heads around. One of them was how the group of six always managed to get their central seats in the coffee shop. 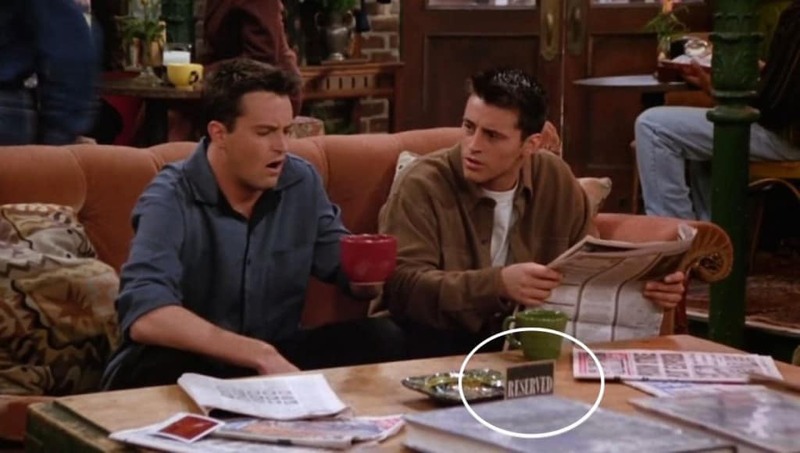 However, an Easter egg hidden in plain sight reveals the exact reason, the seats are reserved with a sign on the table. Community has developed a reputation for hiding jokes and references throughout various episodes, something that fans very much appreciate. One of the strangest is an Easter egg that takes place in one episode and involves the character Abed. Throughout several scenes you can see Abed in the background as the camera focuses on other events as he becomes friends with a pregnant woman and goes through a number of incidents with her, including eventually delivering the baby. 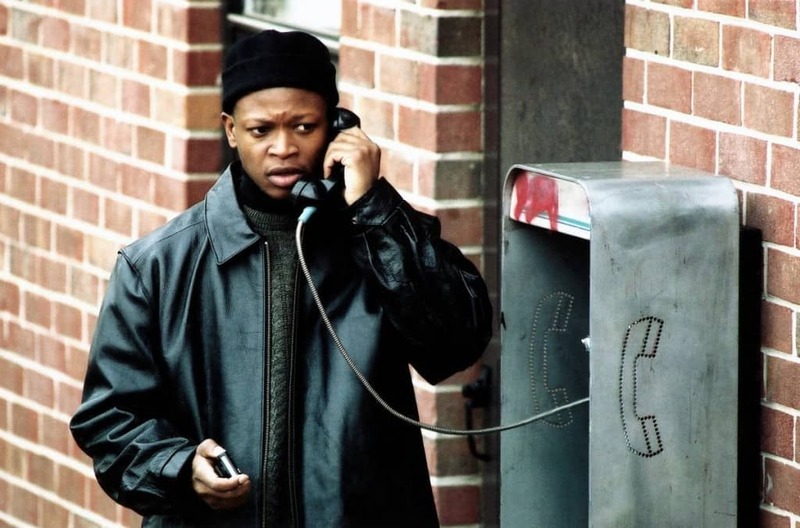 The Wire strived to be as accurate as possible all the way through its run, paying particular attention to little details that many people wouldn’t even notice. This was the case for one episode in particular that had a character give out their phone number. While most television shows will not use real numbers in case fans ring them and get through to real people, the producers used a Baltimore number and redirected anyone who called it to a recorded message from a character out of the show. 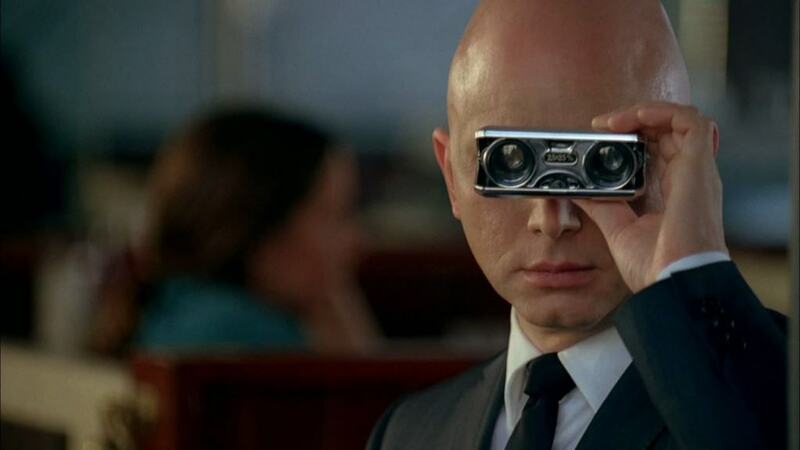 One of the most interesting things about the television show Fringe was that each episode included a plot clue for the next episode somewhere within it. They were often incredibly difficult to decipher though, often just appearing in for a few seconds and often being completely abstract, such as in the pilot when a picture of a rose and a pen foretells the murderer Mr. Penrose in the next episode. Although this particular Easter egg does not appear in every single episode, instead only able to be seen in 43, it is a regular occurrence when the episodes are directed by Alec Smight. The director ensured that every episode of the show that he was responsible for included an ornament of a deer placed in the background somewhere. The animation show Futurama has never been afraid of including Easter eggs, references and hidden secrets thanks largely due to the fact that its creators are big science fiction fans. 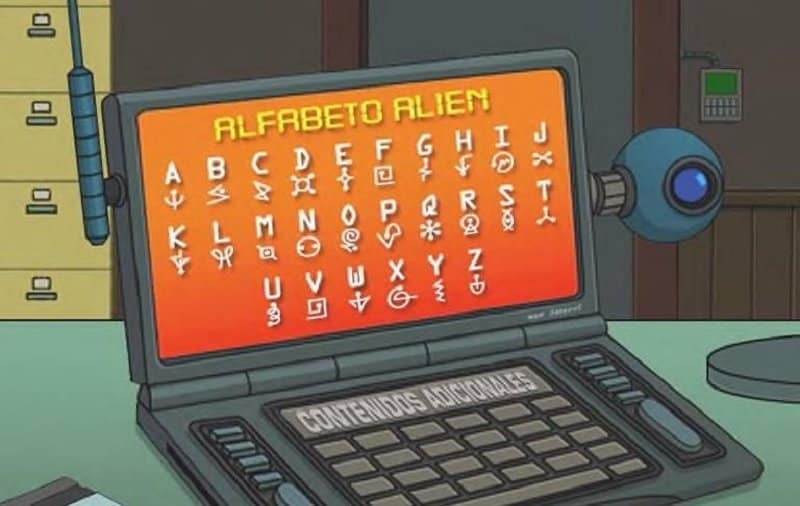 One of their boldest Easter eggs though was the inclusion of new alien languages. They never appeared in full, instead requiring fans to piece them together from small snippets that appeared in episodes across entire seasons. The first was a simple replacement cipher while the second was a far more complex code that took fans far longer to figure out.